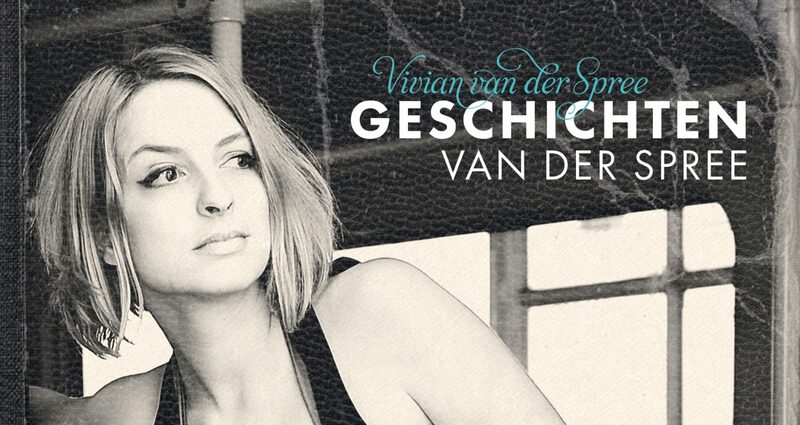 Vivian van der Spree writes, sings and performs her own German pop songs, with a retro touch of funk and soul. Born and based in Berlin, Vivian and her band have been playing many concerts since years, including two tours in France. In her songs, Vivian writes about living in Berlin, all those little stories happening in a big city, and how it feels to be part of it all. Her debut LP “Zurück in Berlin” was released in 2013 via Berlin Indie label Snowhite Records and received some attention and good reviews by the press. Also, the album won silver at German Rock & Pop Contest in the category “Best Funk and Soul Album of the Year”. Her second album, called “Geschichten van der Spree”, was released in 2016 by Hamburg Indie label Monster Tapes in cooperation with international ROBA Music Publishing. The video to the first single release, “Junge”, was shot together with the international all-female roller skate crew “Chicks in Bowls Berlin” and “Chicks in Bowls Sweden”, in cooperation with 20 Zoll Media, who also worked with artists such as the Beatsteaks. The tour „Geschichten van der Spree“ led through cities such as Hamburg, Rostock, Potsdam and Berlin, of course, along with interviews for radio, magazines and newspapers. It became LP of the week at Radio Cottbus, a city where river Spree runs through too. As a highlight, „Geschichten van der Spree“ was awarded twice at „Deutscher Rock-&Pop-Preis“ by the end of 2016: It won gold in category „Best Lyrics of the Year“, and bronze in category „Best German Album of the Year“. After a short break, Vivian will start working again by the end of 2017, creating new songs and giving more concerts. Stay tuned!